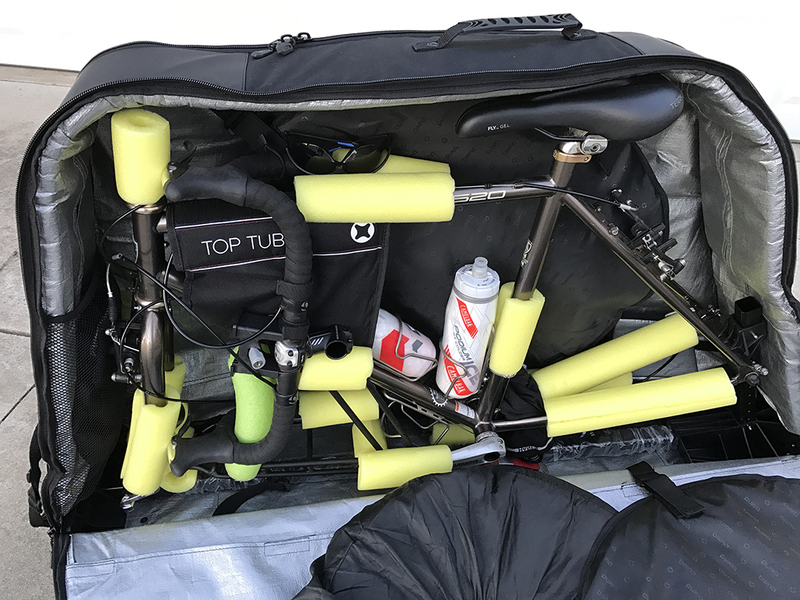 We researched various ways to package our bicycles for checking as luggage on our flight -- from simply packing them in a cardboard bike box to securing them in a hard-shell container. The solution we settled on was purchasing soft-sided bags made by Biknd which will accommodate the bike and its wheels. The saddle and pedals are generally removed. 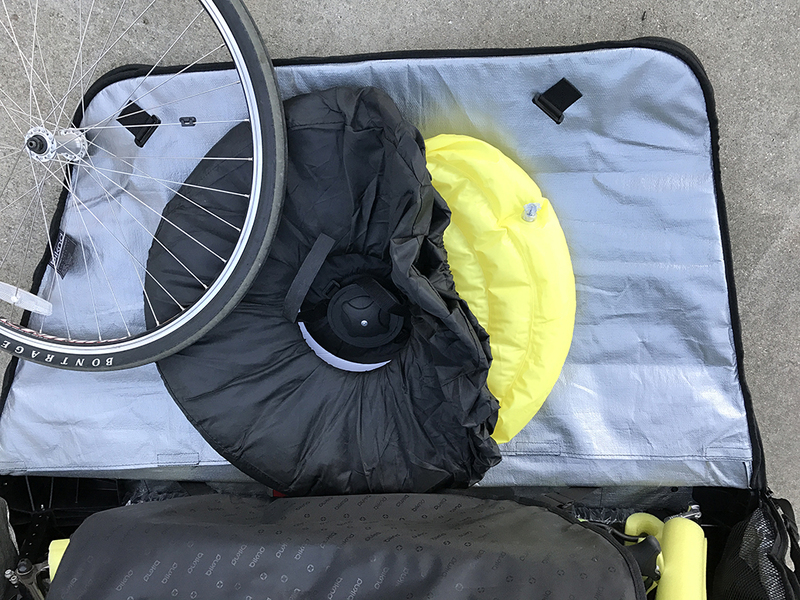 We still had the issue of packing the bikes' luggage racks and fenders, which because of the overall weight of the packed bike bags, we opted to stick in the suitcases with our clothes, panniers, handlebar bags and other belongings. 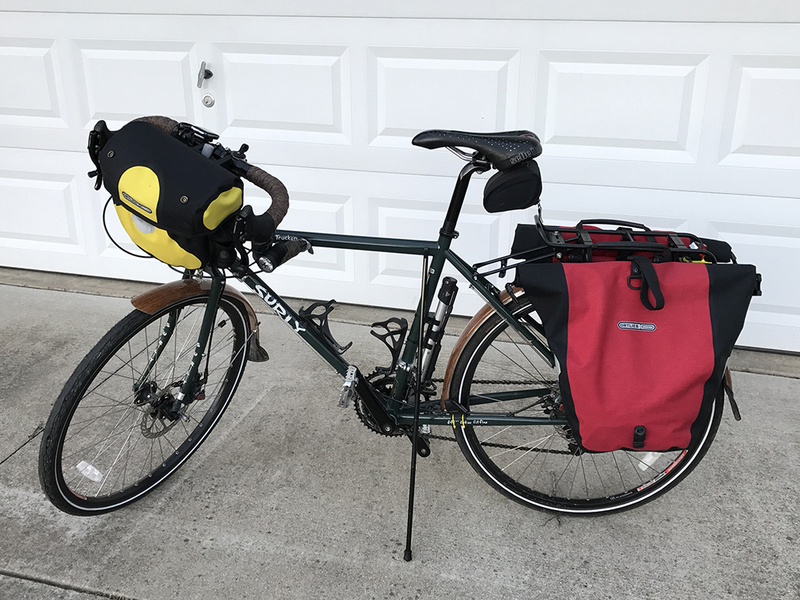 Touring bikes such as my Surly Disc Trucker weigh substantially more than most road bikes. 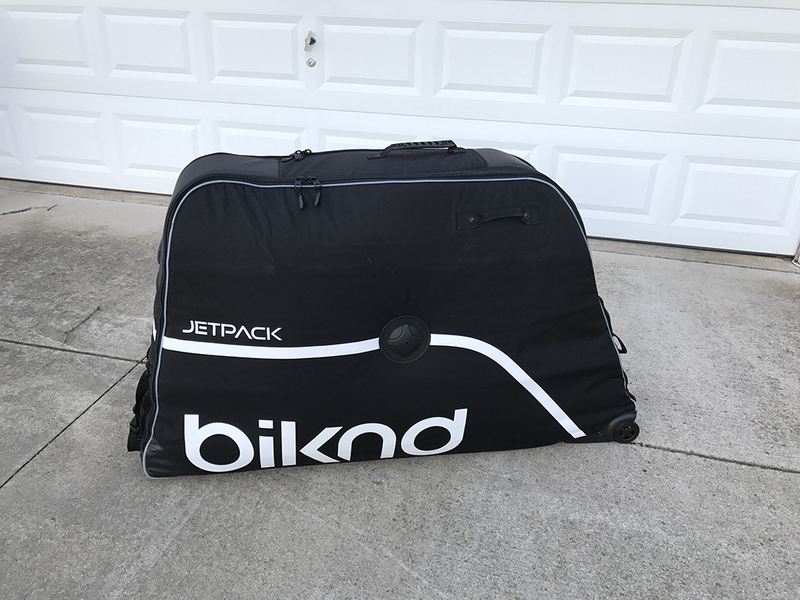 The weight of the Jetpak bike bag itself limited how much we could pack in the bag without paying additional for exceeding the 50-lb. limit. Steve packed his Trek 520 in the bike bag without removing the saddle. His initial pack job also included the luggage racks, but he opted to remove those to avoid scratching the bike frame. The JetPak has an inflatable pillow which is used to cushion the compartment on each side where the wheel is stashed. A big reason we liked the JetPak is that it appears to be friendly for baggage handlers -- that is, it has several handles to grip and pull or lift the bag, and it is equipped with wheels for towing it through the airport. Even I could manage to pull this bag and my suitcase at the same time.